Assist International is a humanitarian organization addressing the critical needs of the world's most vulnerable people. Projects completed in over 60 countries have lifted thousands to a hopeful and productive future. Baptist World Mission (BWM) assists churches in sending missionaries throughout the world to establish New Testament Baptist churches in obedience to the Great Commission by providing missionaries with the highest quality training and services. Converge is a Movement . . . A movement starting and strengthening transformational churches. With God's help to reach Spanish-speaking people throughout the world with the Good News of salvation through our Lord Jesus Christ and disciple them for Christian ministry. 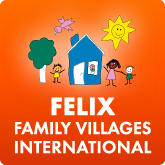 The Mission of Felix Family Villages Ministry is to expand the reach of Felix Family Village and establish new family villages in collaboration with national Christian churches and organizations in countries where there are abandoned children. Felix Family Villages is also providing training and guidance for others to build on the idea. The Gideons International is an Association of Christian business and professional men and their wives dedicated to telling people about Jesus through sharing personally and by providing Bibles and New Testaments. While we are known worldwide for our work with hotels, we predominantly share Scriptures in schools and colleges, prisons and jails, hospitals, and medical offices. For more than fifty years, transforming lives behind bars...here and around the world. Good News provides spiritually mature, equipped, and motivated Christian chaplains to serve in correctional facilities nationally and internationally. WITH LOVE AND RESPECT, INVITING ALL MUSLIMS TO FOLLOW JESUS. The goal of Nursing Home Ministries is to glorify God by taking His Word and His love to these facilities. Thru the Bible is the worldwide Bible-teaching ministry of the late Dr. J. Vernon McGee. In a 30-minute a day study, Dr. McGee takes listeners through the entire Word of God--Genesis through Revelation--over the course of 5 years. Once we've completed a cycle we go right back to the beginning and start again! Thru the Bible airs on over 800 stations in the U.S. and Canada, and is translated and heard in more than 100 languages and dialects around the world. The work is supported entirely by the fervent prayers and faithful giving of our wonderful listeners, and we plan to keep sending the Word out as long as God allows. Wycliffe’s vision is to see the Bible accessible to all people in the language they understand best.